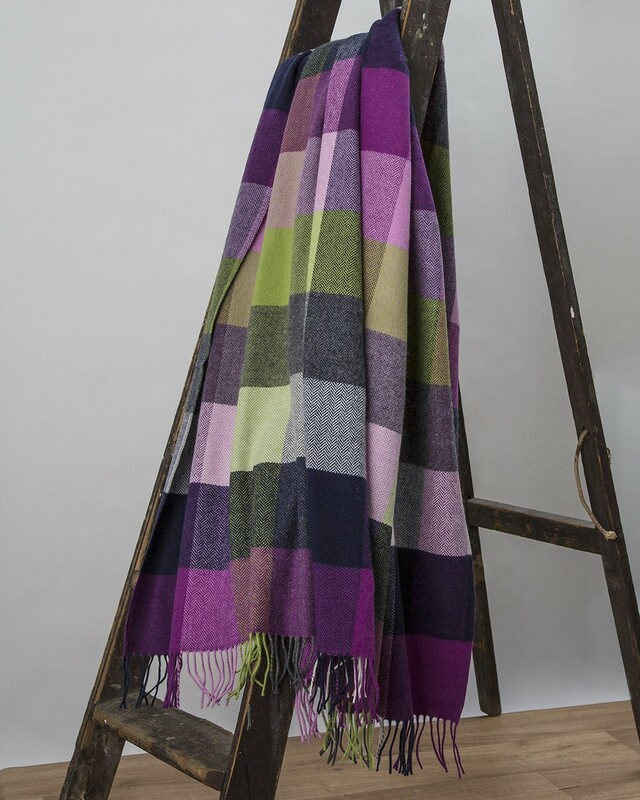 A longtime favourite, the vibrant purples and greens of the Pioneer throw are reminiscent of the heather and bracken across the Wicklow landscape. Woven at our mill, the lambswool of this throw ensures both luxury and comfort. 7) holder of the data are the companies Avoca Online Store and Avoca. To the holders you may apply to exercise your rights envisioned by art. 7 of the Italian Law "D.Lgs. 196/03", mentioned in section 6 of this letter. 8) Within the two companies the person in charge of processing your data, according to article 7, of Italian law D. Lgs. 196 del 2003, is at Avoca . The complete list of data processing responsibles is available at the corporale headquarters of Avoca and Avoca. 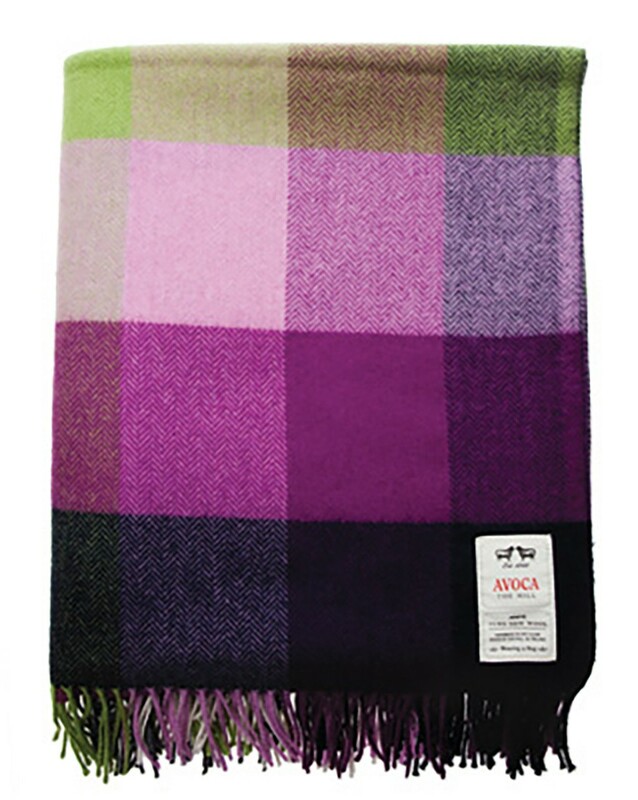 To receive further information or promotions, for commercial purposes, exclusively from Avoca, linked companies or companies in charge of marketing or sales activities for Avoca or Zerogrey. Cookies are small text files that contain information that is transferred to the hard drive of your computer or mobile device. We may use both session cookies (which expire once you close your web browser) and persistent cookies (which stay on your computer or mobile device until you delete them) to provide you with a more personal and interactive experience on our site. We use two broad categories of cookies: (1) first party cookies, served directly by us to your computer or mobile device, which we use to recognise your computer or mobile device when it revisits our site; and (2) third party cookies, which are served by service providers on our site, and can be used by such service providers to recognise your computer or mobile device when it visits other websites. The cookies used by this site and their purpose are identified and described below. These cookies are essential to provide you with services available through our site and to enable you to use some of its features. Without these cookies, the services that you have asked for cannot be provided, and we only use these cookies to provide you with those services. These cookies allow our site to remember choices you make when you use our site. The purpose of these cookies is to provide you with a more personal experience and to avoid you having to re-select your preferences every time you visit our site. These cookies are used to collect information about traffic to our site and how users use our site. 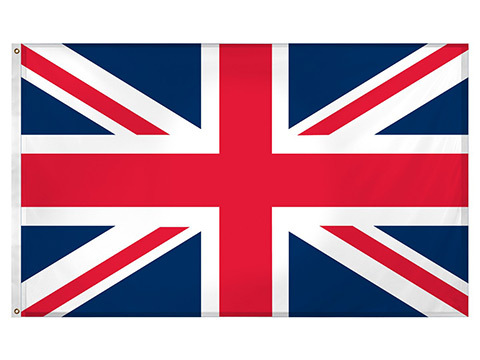 The information gathered may include the number of visitors to our site, the websites that referred them to our site, the pages they visited on our site, what time of day they visited our site, whether they have visited our site before, and other similar information. We use this information to help operate our site more efficiently, to gather broad demographic information, monitor the level of activity on our site and improve the site. We use Google Analytics for this purpose. Google Analytics uses its own cookies. You can find out more information about Google Analytics cookies here and about how Google protects your data here . You can prevent the use of Google Analytics relating to your use of our site by downloading and installing the browser plugin available here . These cookies track your browsing habits to enable us to show advertising which is more likely to be of interest to you. These cookies use information about your browsing history to group you with other users who have similar interests. Based on that information, third party advertisers can place cookies to enable them to show advertisements which we think will be relevant to your interests while you are on third party websites. You can disable certain cookies which remember your browsing habits and target advertising at you by visiting this site. If you choose to remove targeted or advertising cookies, you will still see advertisements but they may not be relevant to you. Even if you do choose to remove cookies by the companies listed at the above link, not all companies that serve online behavioural advertising are included in this list, and so you may still receive some cookies and tailored adverts from companies that are not listed. These cookies are used when you share information using a social media sharing button or “ like ” button on our site or you link your account or engage with our content on or through a social media website such as Facebook. The social media platform will record that you have done this. Most web browsers allow some user control of most cookies through the browser settings. You have the ability to accept or decline cookies by modifying the settings in your browser. For information on changing these settings, please look for a “help” function in the browser or visit www.aboutcookies.org. However, you may experience some inconvenience in your use of our site if cookies are disabled. For example, we may not be able to recognise your computer or mobile device and you may need to log in every time you visit our site. We may also use pixel tags (which are also known as web beacons and clear GIFs) on our site to track the actions of users on our site. Unlike cookies, which are stored on the hard drive of your computer or mobile device by a website, pixel tags are embedded invisibly on webpages. Pixel tags measure the success of our marketing campaigns and compile statistics about usage of the Site, so that we can manage our content more effectively.